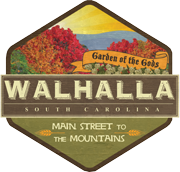 The City of Walhalla is accepting bid proposals for landscape design and/or landscape maintenance for the areas within the newly improved four blocks of Main Street. Licensed and insured individuals or businesses may submit proposals for 1) design only, 2) maintenance only, or 3) design and maintenance. Proof of liability and worker’s compensation insurance, along with license number, must be submitted with all bids. All proposals and bids must be in a sealed envelope marked “Landscape design bid” and/or “Landscape maintenance bid”. Interested parties can contact Interim City Administrator, Scott Parris for additional details at (864) 638-4343. Proposals and bids will be received at City Hall, 206 N Church St. Walhalla, SC, until 2:30PM March 31, 2017, where they will be opened and read aloud. The City reserves the right to reject any and all bids.